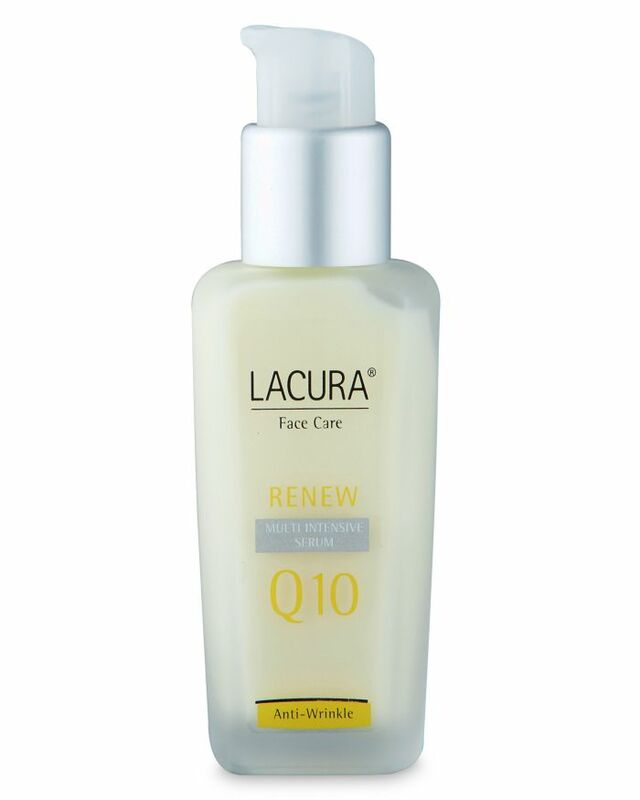 Renew Multi-Intensive Serum with Q10 Anti-Wrinkle: This product is a steal and I found it to be excellent. The consistency is a little milkier than I like for a serum, not runny, just more like a moisturiser, but I did find it to be a little wonder product that improved the appearance of my skin, fine lines and wrinkles every bit as much as my mid-range pick; it also smells lovely and fresh. At less than €5 for 50ml, this is a perfect ‘waiting for pay day’ product. Why should your skin suffer because your bank balance is in crisis? No. 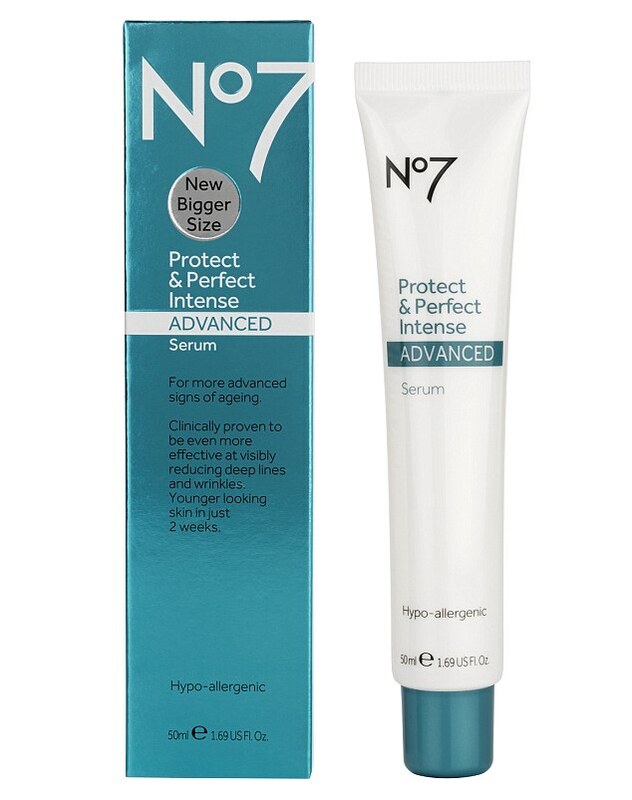 7 Protect and Perfect Intense Advanced Serum: Boots have been constantly improving this winning serum and it’s never let me down. I have been using this product for years, and it’s a firm favourite with me. I love how it feels; it illuminates my skin and make-up sits better after using it under my moisturiser, so it almost doubles as a primer. It’s aimed at 30-45 age profile and like all the serums I’ve featured, it does improves the appearance of wrinkles and fine lines. The texture is exactly what I like in a serum, it costs €34.50 and the price is even better if it happens to be €6.50 off No. 7 voucher time. I actually cut the container open to get the last bits out, as its only 30ml, so my only downside is that it doesn’t last longer! Kiehl’s Powerful–Strength Line-Reducing Concentrate: You have to love Kiehl’s, they do exactly what they say on their bottles! This is a gorgeous product, which I love! The texture is similar to Protect & Perfect but thicker and it warms your skin. It’s a very powerful anti-wrinkle treatment, containing 10.5% of pure vitamin C. It also really does improve and increase radiance. I loved using mine at night, especially if I’m really pampering myself, it feels so luxurious when it heats your skin. At €56 for 50mls, it’s not cheap but the price has come down and mine lasted for ages, it’s the perfect wish-list product. Lovely products! Seem worth looking at.